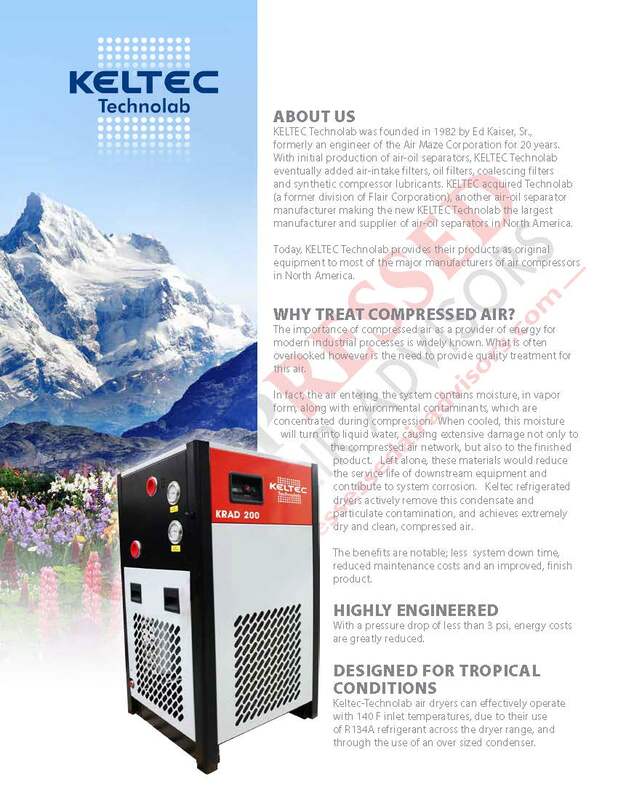 The importance of compressed air as a provider of energy for modern industrial processes is widely known. 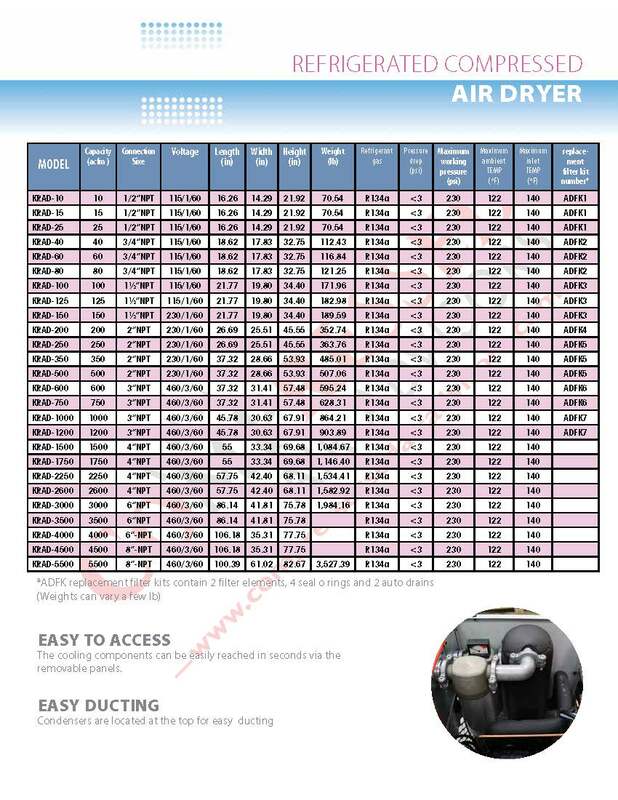 What is often overlooked however is the need to provide quality treatment for this air. 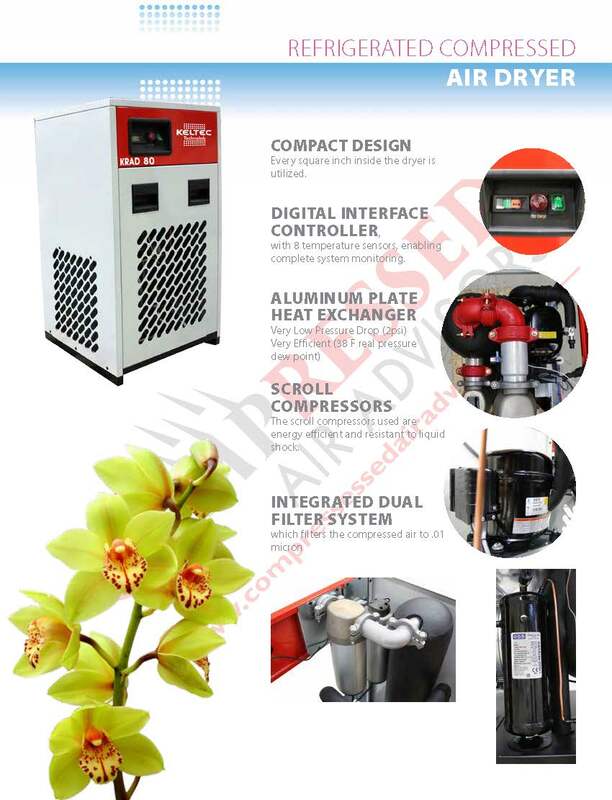 In fact, the air entering the system contains moisture, in vapor form, along with environmental contaminants, which are concentrated during compression. 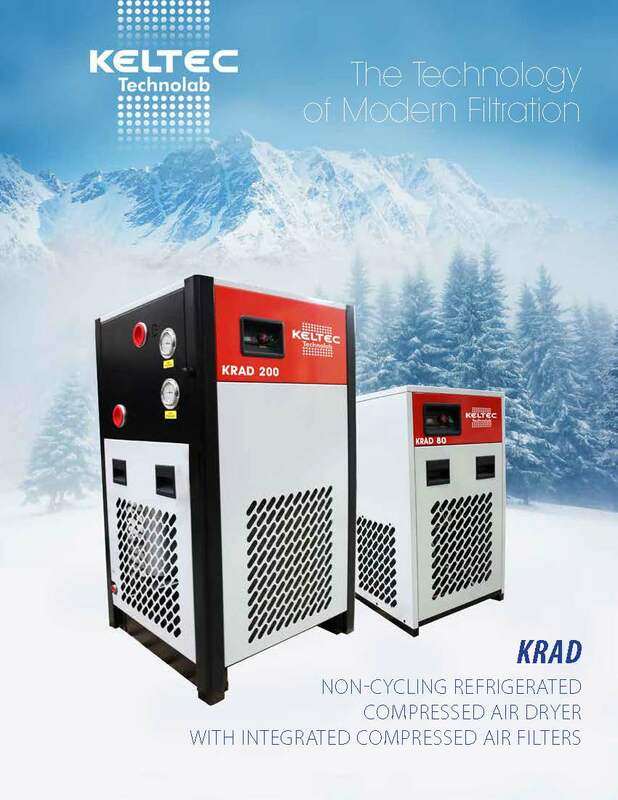 When cooled, this moisture will turn into liquid water, causing extensive damage not only to the compressed air network, but also to the finished product. Left alone, these materials would reduce the service life of downstream equipment and contribute to system corrosion. 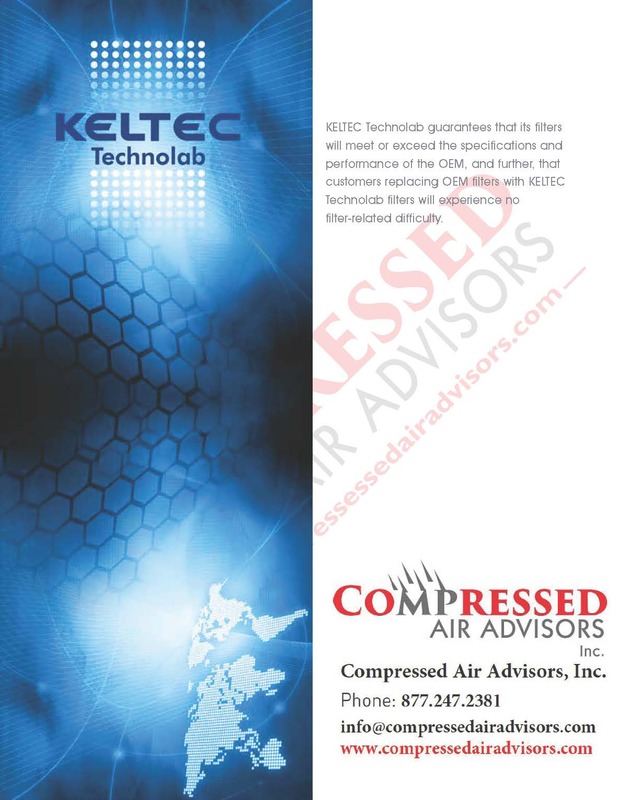 Keltec refrigerated dryers actively remove this condensate and particulate contamination, and achieves extremely dry and clean, compressed air. The benefits are notable; less system down time, reduced maintenance costs and an improved, finish product. 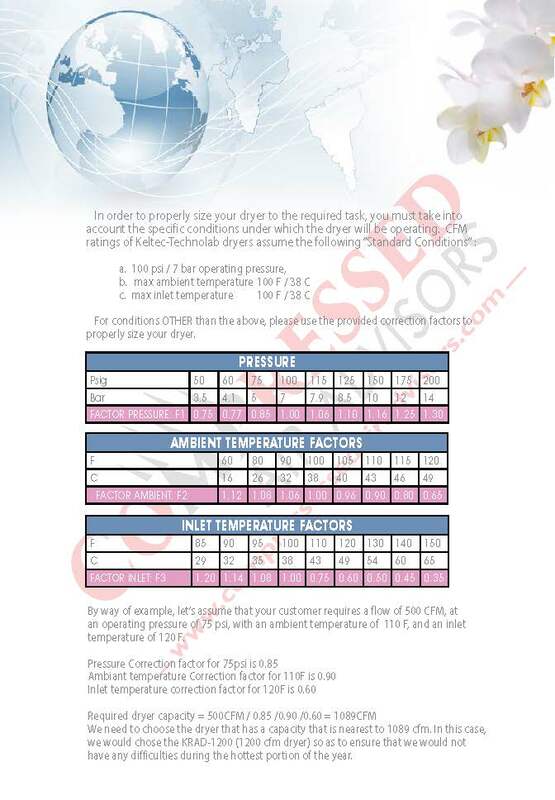 8 temperature sensors, enabling complete system monitoring. 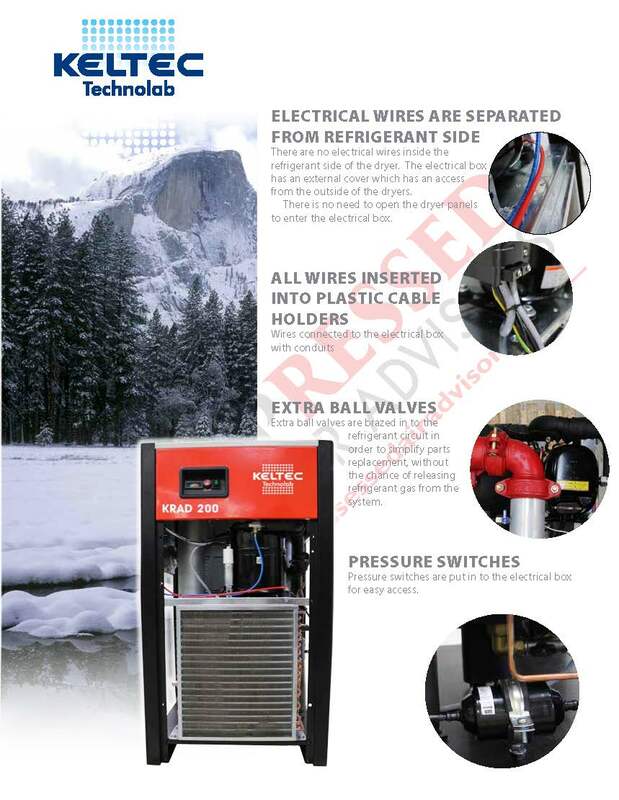 replacement, without the chance of releasing refrigerant gas from the system. Pressure switches are put in to the electrical boxfor easy access.